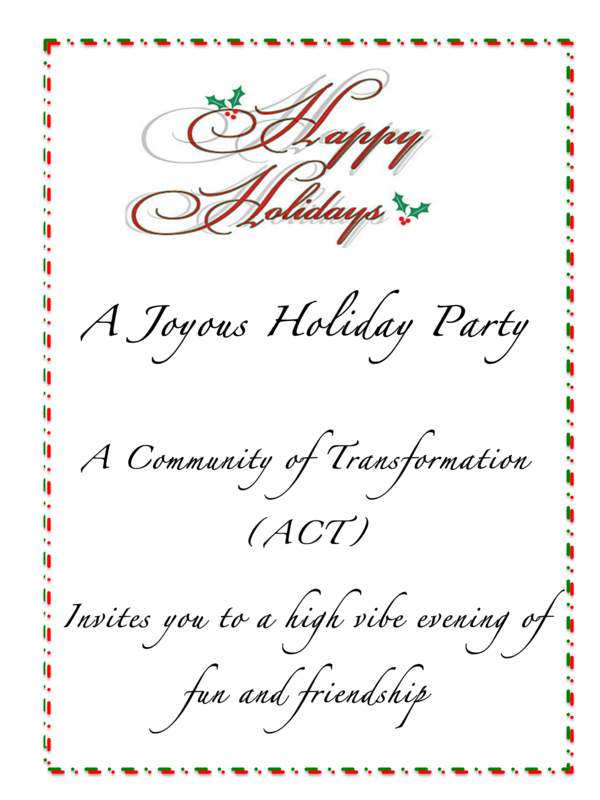 Enjoy an evening of music by the Late Boomers, catered dinner, lively conversation and holiday fun with your community! Cost: Suggested donation – $10-$20 per person. Reserve your place at the table by online reservation. Last minute guests pay at the door. nonalcoholic beverage. Gluten and dairy free option are available. BYOB – Yes, alcohol beverages are permitted.